Youth are more likely to be confined prior to their day in court. Without a strong argument from a defender that a youth could be safely referred to community-based programs, the youth could be held in a detention facility for weeks or months. And research has shown that juvenile detention facilities reduce youth well-being and do nothing to improve public safety. Youth may end up being tried in the adult system. For some offenses in some jurisdictions, judges can decide whether to “waive up” a youth to the adult criminal justice system. Reports have shown that youth do worst when placed in adult lock ups, which have fewer appropriate services and can expose youth to harm. Effective counsel can often successfully argue that a youth should remain in the juvenile system. Lack of quality defense may lead to more pressure to plead guilty or admit delinquency. Especially if they are being held in a detention facility or jail, a youth may feel pressure to agree to a plea because they just want to go home. Harried public defenders may not adequately explain to their clients the consequences of the criminal or juvenile record their plea will cause, or may prematurely push for an agreement so as not to fall farther behind in their cases. Youth who are innocent may be wrongly convicted or adjudicated delinquent, while others may end up with a harsher sentence. As more and more evidence is showing, even a juvenile record can have lasting collateral consequences. Being convicted in the adult justice system also creates barriers to housing, education and employment – all critical components of successfully transitioning to adulthood. 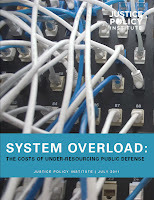 Effective public defender systems not only can better defend the innocence of the wrongly accused, they also have the resources to research and advocate for alternatives to incarceration and confinement; these can include diversionary programs that avoid an adjudication or conviction and that have been shown to have better outcomes both for the youth and for the community. 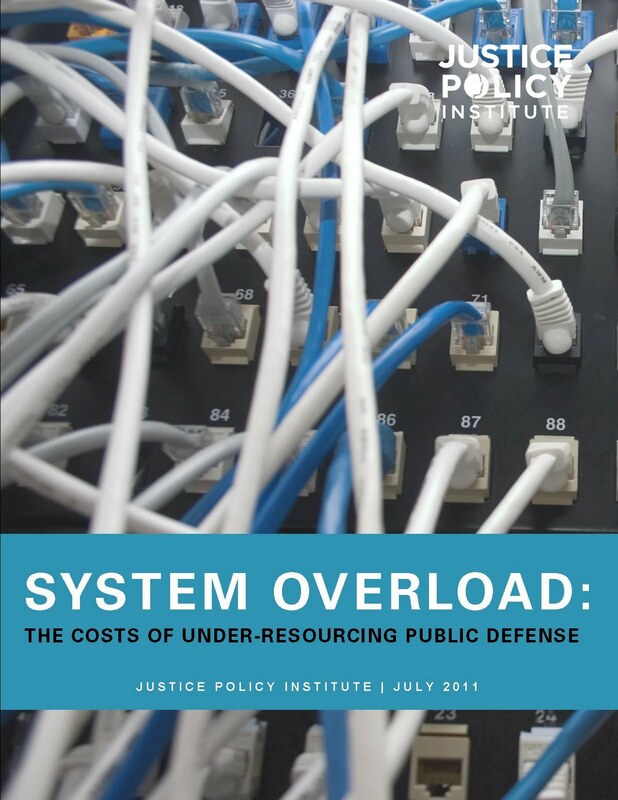 With most states and counties searching for places to trim budgets, public defenders are being forced to defend their own worth to the community. We believe that better funding for public defense not only will give us a fairer justice system, it also will ensure kids get the legal support they need to keep them on track for the best future possible. This story is printed with permission from Reclaiming Futures, a nationwide initiative working to improve alcohol and drug treatment outcomes for youth in the juvenile justice system. If that is the case then why not add more attorneys to do the job? There are many problems that can be solved easily through simple means. Let us not take the situation of our juveniles as a joke, let us be serious about them.